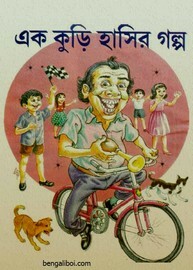 'Ek-Kuri Hansir Galpo' is a funny story collection book for children and teenager. Our children are becoming careerist in their adolescents. They are becoming increasingly deep under the pressure of building careers. We all grew up in the sense of humor of Bangla literature but today's teenager do not have much identity with that trend. Today's teenage girls do not have much identity. The compilation of this laughing story will fill that gap. The best creation of Bengali writers have been collected in this book. The ebook pdf has 138 quality pages, 24mb file size.